Choose “POP or IMAP” and click Next. 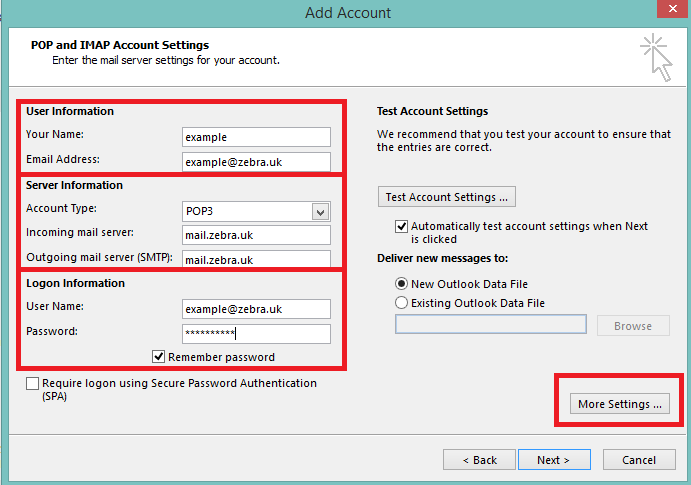 In the Server Information section choose POP3 or IMAP and enter your email server address in the Incoming and Outgoing server boxes. In the Logon Information section enter your email address into the User Name box and your password into the Password box. Click the Outgoing Server tab and tick the “My outgoing server requires authentication” box. Click the Advanced tab and change the Outgoing server port number from “25” to “587”. 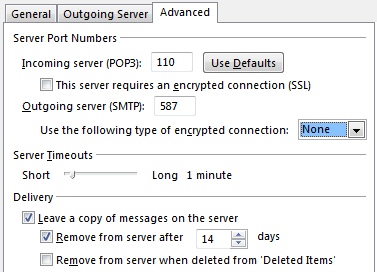 If you are using POP3 and “Leave a copy of messages on the server” selected please make sure to have “Remove from server after x days” selected as well.